Did you know that March is National Nutrition Month? Rabia and I thought it would be fun to honor the month and make our first March Tuesday Ten all about food!! 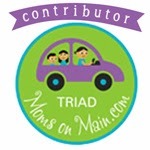 Today we are sharing lists of our ten favorite foods, favorite recipes, or go-to family meals. I'm going to make my list a combo of all three!! **Bonus - If you want to combine the first two on my list, try this recipe for Pizza Pasta Casserole! 3. Tacos - This is one of the only other meals that is sure to be a crowd please at my house. Everyone can customize their own to add what they like and leave off what they don't! 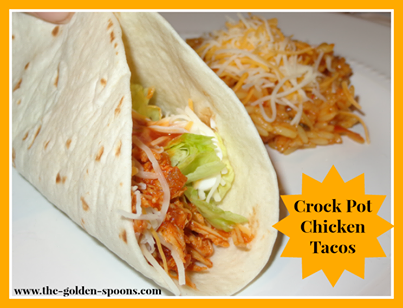 Most of the time, I use one of the store-bought taco kits and make them with ground beef, but occasionally I like to change it up and this Crock Pot Chicken Tacos recipe is AWESOME! 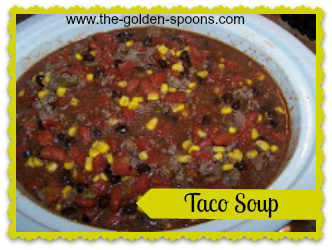 You can also try this incredibly easy crock pot Taco Soup recipe! 4. Chicken - If given a choice of protein, I almost always choose chicken. In fact, I would be happy serving my family chicken at least 3 or 4 nights a week. I don't think they would like that, though. Chicken is usually quick, easy, and versatile. 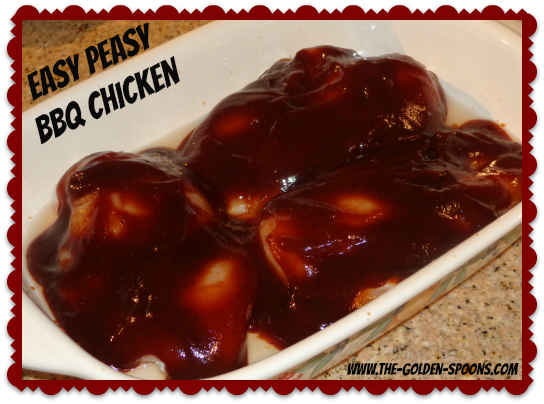 One of my favorite, "go-to" chicken dishes is this BBQ Chicken Recipe that is so incredibly easy it's almost not even an actual recipe! 5. Roast - When I'm not serving chicken, one of my favorite meals to serve and to eat is a classic roast. Served up with a side of mashed potatoes, green beans, and gravy, there is no food on any menu that reminds me more of home and family. 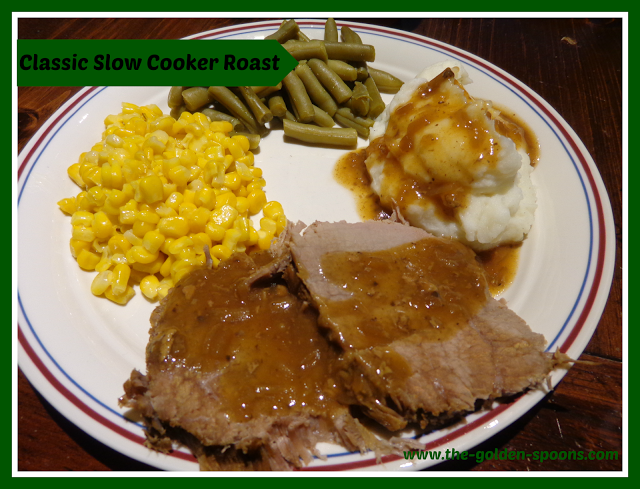 Here's the recipe I use for a Classic Slow Cooker Roast. 6. Since we are still apparently on the throes of winter (I'm typing this on Monday and my kids are being dismissed from school early today for impending ice), I have to include some comfort foods. 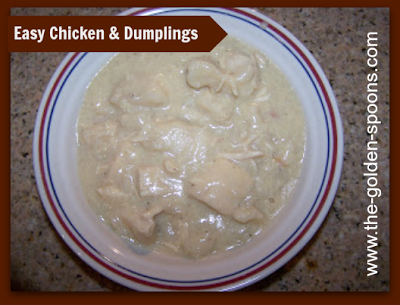 In that category, I love this recipe for Chicken And Dumplings. 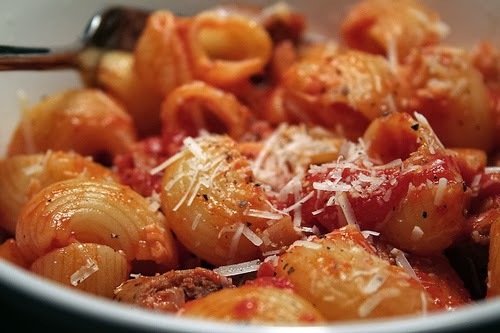 It is so easy to make in the Crock Pot and comes out great every time. If you ask my nine year old what her favorite food is, her answer will be "Mommy's Chicken and Dumplings!" In fact, she requested this for her birthday dinner in December! It's THAT good! 7. 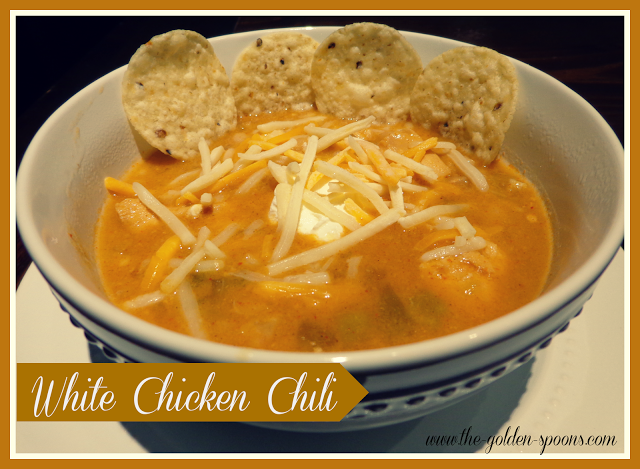 Another winter recipe I love is this one for White Chicken Chili. There are a couple reasons I love it. Again, it is an easy crock pot meal. It is delicious. 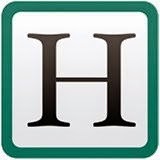 And, thanks to Pinterest, it is my most viewed blog post ever!!! That means it must be good, right!?!? 8. There always has to be some dessert, too! Ice cream is a great dessert. You could eat it every night of the week and never have the same flavor! 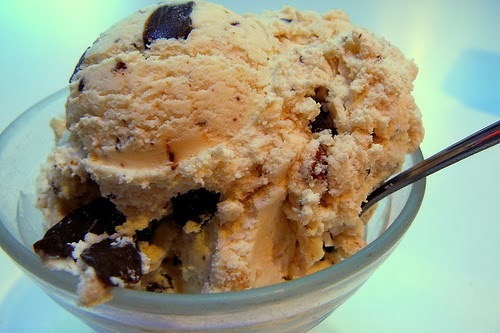 Around here, ice cream is a staple on the grocery list. 10. Chocolate - Finally, no list of my favorite foods would be complete without chocolate!! I will pretty much eat chocolate in any form, although I prefer milk chocolate more than dark chocolate. It is also made evvn better with a little caramel. 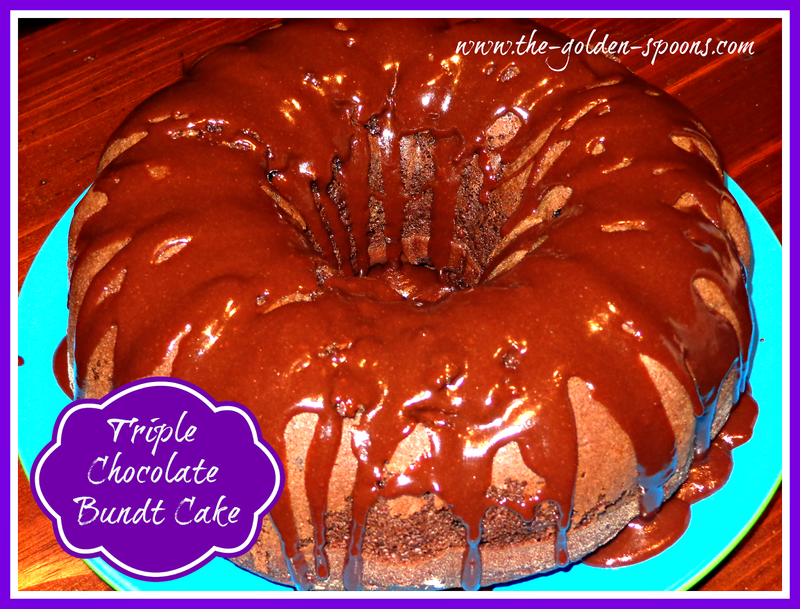 Just a couple days ago, I shared this recipe for a Triple Chocolate Bundt Cake which is, in my opinion, a little bit of heaven on a plate! 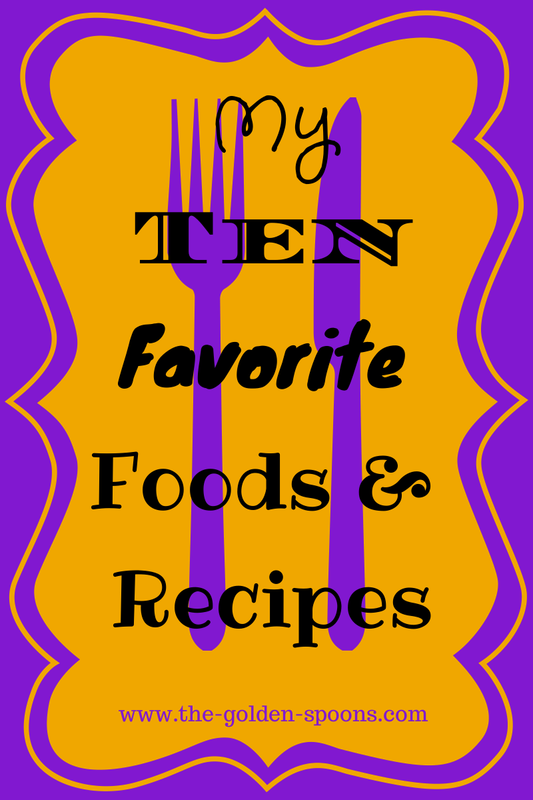 There you have it - my ten favorite foods complete with some recipes. For even more recipes, check out my list of Sunday Supper posts. I share a new recipe every other Sunday here on the blog and I love to hear about what's cooking in your kitchens! Come link up again next Tuesday, March 11 when the topic will be: If you had to leave your house in a rush never to return, what 10 things would you grab to take with you (other than people and pets)? 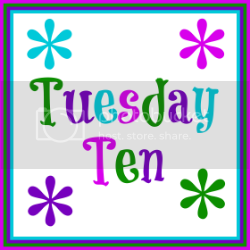 **If you have ideas for some Tuesday Ten topics, we would love to hear them! Just leave a comment or send us an email! 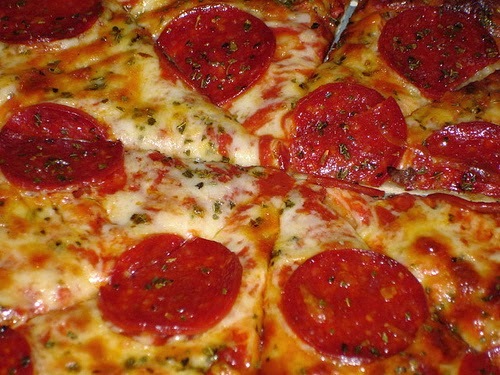 Pizza and tacos made my list as well! It's always nice when the whole family eats dinner. ;) I definitely need to try the pizza pasta casserole. I think it would be a hit at my house! That's a good one! Especially since this winter just won't quit! They are yummy and I love how easy they are, too. With busy schedules, easy recipes I can throw in the crock pot are definitely some of my favorites. I have a white chicken chili recipe coming up on the blog soon too! Yum! My family loves tacos too..we eat them all the time! Hope you can give it a try some time! I recognize so many of these because I read/commented/pinned your recipes! I think we have very similar meal taste! No doubt about that. 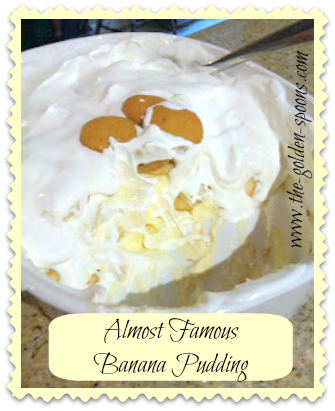 And I want this almost famous banana pudding! OK, I swear I already commented, but I don't see it here!! That's how my whole day has gone! Anyway, I just tried white chicken chili last month for the first time and loved it. I'll have to try your recipe too! 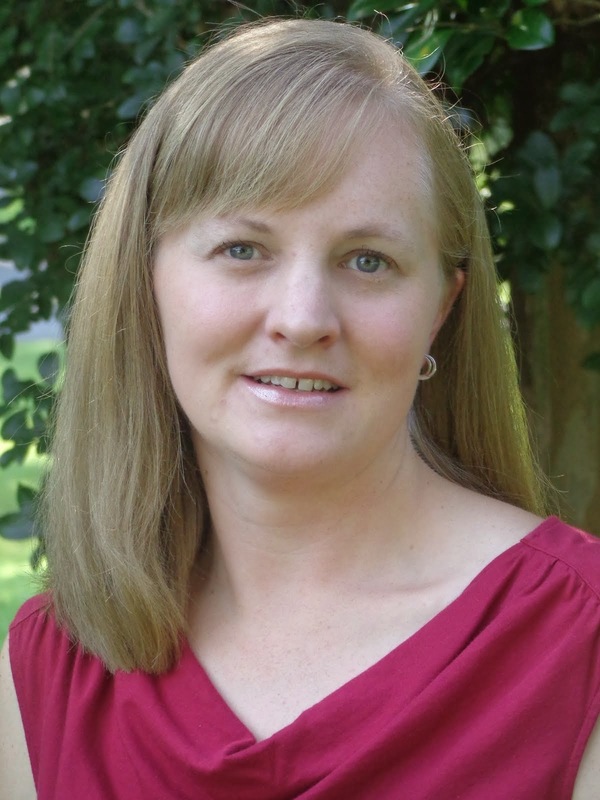 :-) Thanks so much for reading, commenting, and pinning! I would love to make you the banana pudding sometime! Yeah - it's been along day! That chili recipe is the first one I tried for White Chicken Chili and it was so good and easy, I haven't tried another one. I've gotten several comments from friends who tired it and liked it too, so it must be a winner! I am loving all these comfort foods. I haven't had chicken & dumplings in forever. That pizza looks heavenly. Love these recipes, and am going to pin some for later! Pasta is my favourite versatile food, and chicken is a staple in our home. I think carrots would be fine - I would just add them when you add the biscuit pieces so they don't get too mushy. I would absolutely bring the banana pudding to Blog U if I could! Thanks! Those chicken and dumpling are so easy - give it a try! Same here! Pasta and chicken are on the menu every week.